Argo Flares - Offshore & Onshore Flare Inspection, Helicopter (Flyby) Flare inspections. 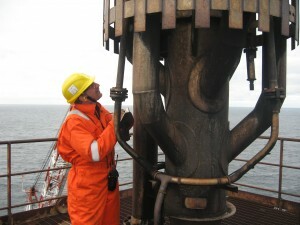 The staff of Argo Flare Services collectively has a vast amount of offshore inspection experience. Indeed two of our engineers cumulatively have close to 60 years of offshore flare inspections behind them. Ray Seale and Paul Sharman will probably be recognised by many of those who have been actively involved in offshore flare work. Ray and Paul both emanate from one of the North Sea’s largest flare vendors and have undertaken copious offshore inspection and trouble-shooting visits. They have worked worldwide alongside contractors such as AMEC, Vertech Offshore AS and Sparrows during flare change-outs. Ray and Paul are both familiar with the working practices of most major operators, and have undertaken flare inspections for many operators including; BP Amoco, Marathon, Mærsk, NAM, Norsk Hydro, Occidental, Statoil, Shell. For a complete list of inspections, please download our information sheet. At Argo Flares we actively encourage working closely with your inspection team to review aerial photographs taken of your flares. The level of detail that can be obtained from quality fly-by photographs is very encouraging; details such as cracked pilot nozzles and missing bolting are easily seen. To this end we have added a further web page outlining Flare Aerial Inspection Surveys detailing our Helicopter Flare Inspection (Flare Aerial Inspection) approach.